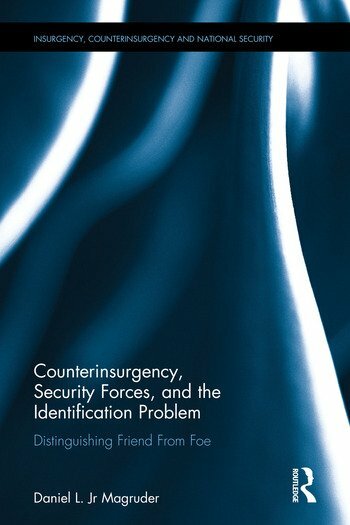 This book presents a theory and empirical evidence for how security forces can identify militant suspects during counterinsurgency operations. A major oversight on the part of academics and practitioners has been to ignore the critical antecedent issue common to persuasion and coercion counterinsurgency (COIN) approaches: distinguishing friend from foe. This book proposes that the behaviour of security forces influences the likelihood of militant identification during a COIN campaign, and argues that security forces must respect civilian safety in order to create a credible commitment to facilitate collaboration with a population. This distinction is important as conventional wisdom has wrongly assumed that the presence of security forces confers control over terrain or influence over a population. Collaboration between civilian and government actors is the key observable indicator of support in COIN. Paradoxically, this theory accounts for why and how increased risk to government forces in the short term actually improves civilian security in the long run. Counterinsurgency, Security Forces, and the Identification Problem draws on three case studies: the Huk Rebellion in the Philippines post-World War II; Marines Corps’ experiences in Vietnam through the Combined Action Program; and Special Operations activities in Iraq after 2003. For military practitioners, the work illustrates the critical precursor to establishing "security" during counterinsurgency operations. The book also examines the role and limits of modern technology in solving the identification problem. This book will be of interest to students of counterinsurgency, military history, strategic studies, US foreign policy, and security studies in general. Daniel L. Magruder, Jr holds a PhD in Political Science from the University of Chicago, USA, and is currently Commander, 22nd Special Tactics Squadron, Joint Base Lewis-McChord, Dupont, Wasington, USA.